The “IT Boxing” Visited by 250 Developers! 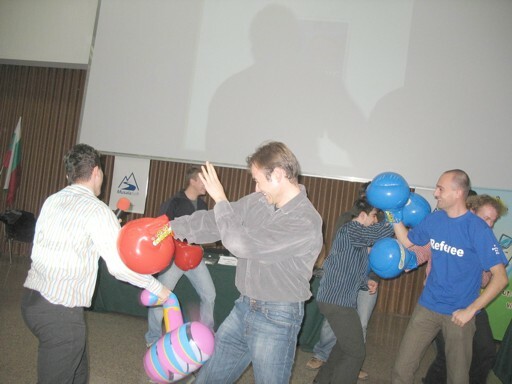 On 11 December 2007 I organized the largest event of the Bulgarian Association of Software Developers (BASD). It was held in Sofia and was visited by 250 software engineers and thus BASD was proved to be #1 community organization in Bulgaria. The subject of this first “IT Boxing” event was “.NET vs. Java database access technologies and ORM tools”. The .NET team presented the LINQ and the ADO.NET Entity Framework and Visual Studio 2008. The Java team presented Hibernate, Java Persistence API (JPA) and DB4O. The Winner is the .NET Team!